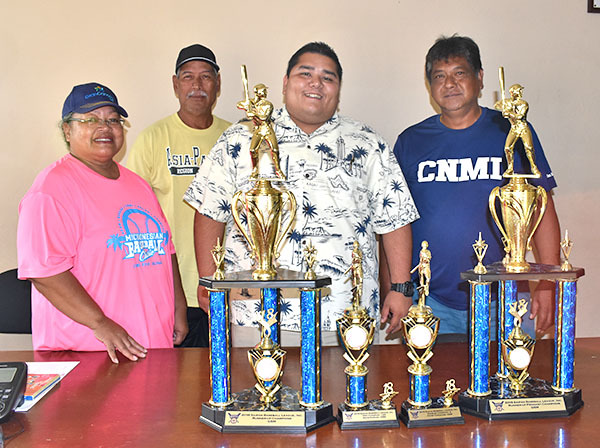 Players and teams received the fruits of their labor in the 2018 Saipan Baseball League last Friday during a brief awards ceremony at the conference room of the Gilbert C. Ada Gymnasium. 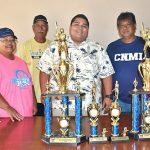 The Chalan Kanoa Bears and their ace pitcher, A.J. 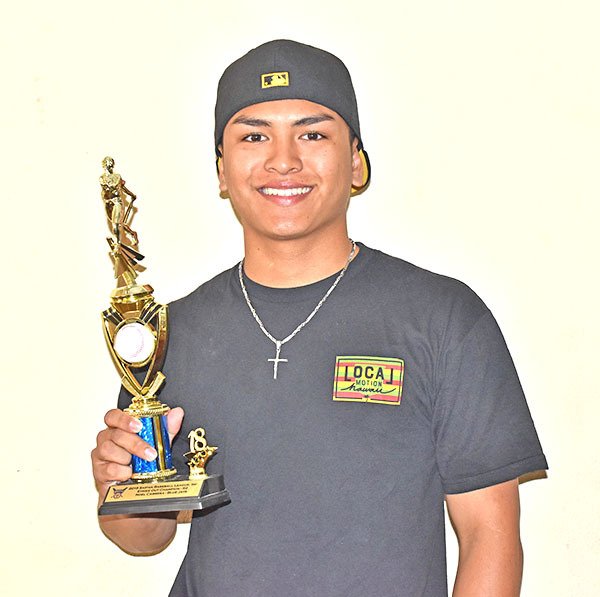 Lizama, led the season awardees with the Henry Lizama Sr.-managed squad taking both the pennant and championship trophies awarded by SBL officials Rose Igitol, Tony Rogolifoi, and Bernard Cabrebra. 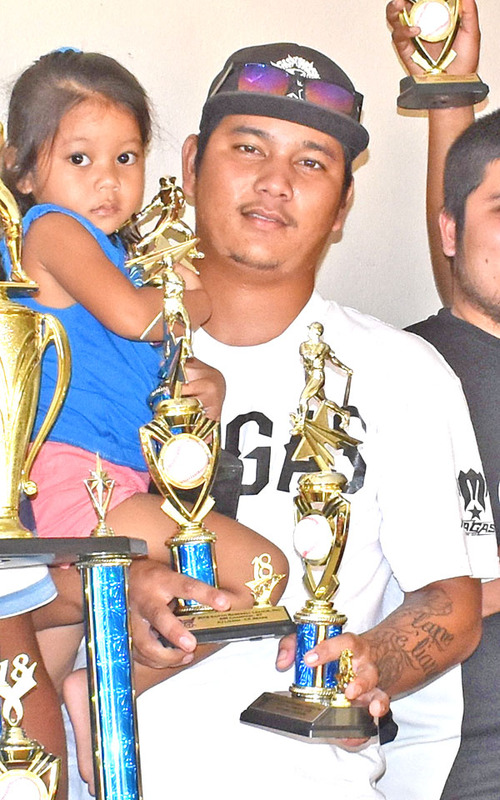 A.J., on the other hand, brought home three individual awards plus a miniature trophy for their pennant win. 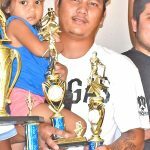 The Bears top gun was the batting (.526 average) and RBI (27 RBIs) champion and also took the regular season most valuable player award. 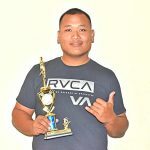 One more Bears player earned an individual plum with Franklin “Kiku” Lizama getting the most triples (5) in the double round-robin regular season. 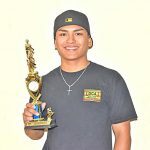 Go See Mark’s Peter Tomokane and Kelvin Kapileo, the Aces’ Ben Jones Jr., Titanium’s Brian Camacho, and the Blue Jays’ Noel Cabrera completed the list if individual awardees. 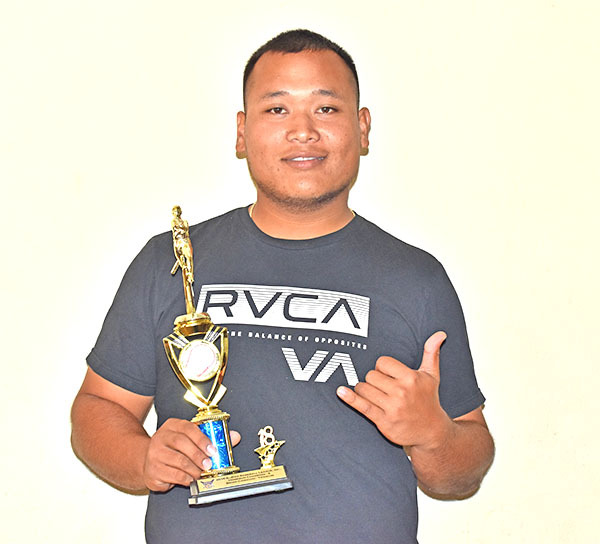 Cabrera was the strikeout champion after fanning 52 batters, while Kapileo topped the ERA category with his 1.03. 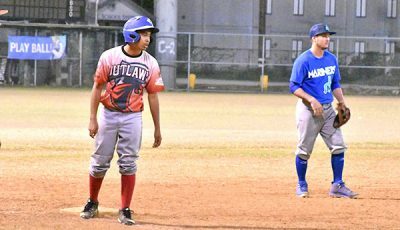 Jones had the most runs with 34, while Camacho led the league in home runs with three, and Tomokane recorded the most doubles in the season after posting eight. 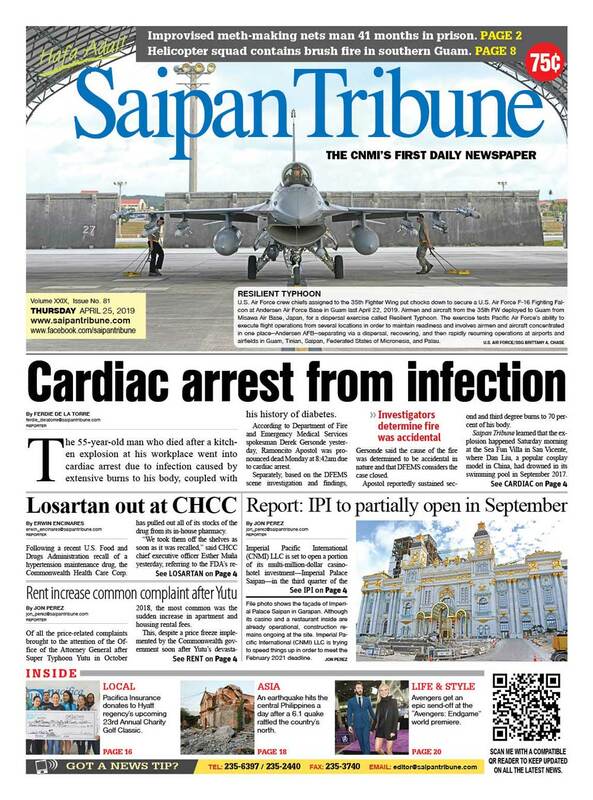 There was no Finals MVP trophy given, as the supposed best-of-five title series between the Bears and GSM was canceled because the Francisco “Tan Ko” Palacios Ballfield is unplayable after sustaining massive damage from Super Typhoon Yutu. 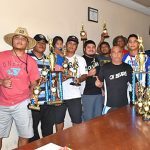 The Bears won Game 1, 8-5, of the championship showdown last Oct. 21—the same week the category 5 typhoon hammered both Saipan and Tinian. 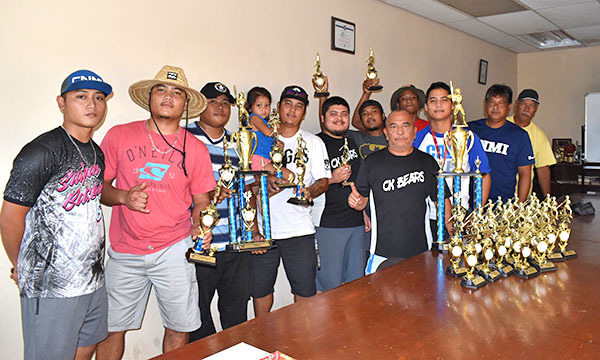 With the victory in the opener, league organizers and officials agreed to award the championship to the Bears, which finished the season (including the pair of semis games and Game 1 of the finals) with an impressive 20-1 record. 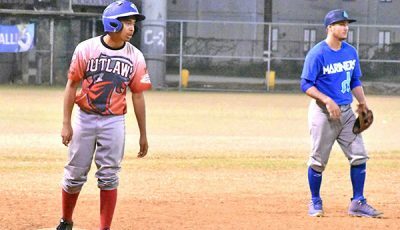 The Bears’ lone loss came at the hands of 2017 champion Aces, but after that defeat last March 9, the CK crew were unscathed the rest of the way, going 17-0 and then sweeping the Aces twice in the semis for a finals date with regular season No. 2 finisher GSM (14-4).